Mobile phone operators MegaFon and Tele2 have successfully tested the long-awaited mobile number portability, or MNP, service that will allow customers to switch mobile phone operators without losing their number, CNews reported. “We have successfully tested making incoming and outgoing mobile [calls] and receiving and sending text messages using numbers imported to and from MegaFon and Tele2,” Konstantin Prokshin, head of the federal communication department of Tele2 Russia, said. The functionality of value-added services and add-on features still have to be tested, CNews reported late last week. The introduction of MNP is meant to combat so-called ''mobile slavery,'' which forces consumers to change their number every time they want to switch operators. Analysts say the implementation of MNP could possibly lead to a reshuffle in market shares. 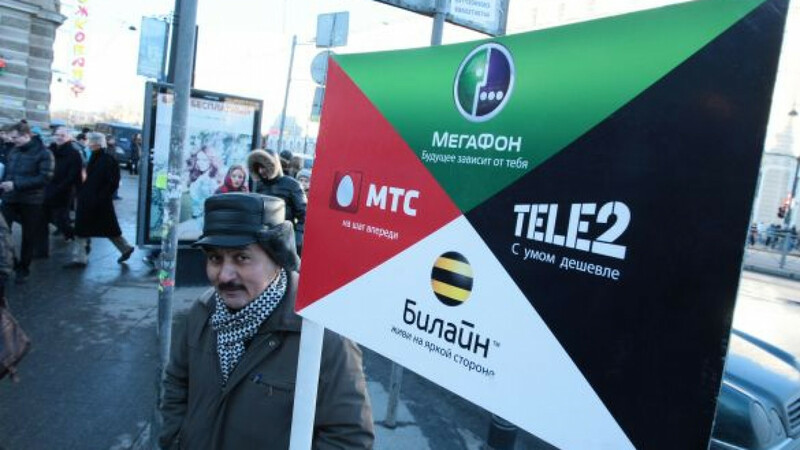 In the second quarter of 2013, MTS had a market share of 30.5 percent, MegaFon, 29 percent, VimpelCom, 26.8 percent and Tele2, which is popular in regional cities but less so in the capital, 7.6 percent, Vedomosti reported, using data from AC&M Consulting on the second quarter of 2013. Experts from J’son & Partners said that only 5 to 7 percent of mobile users were expected to change their network provider in the first two years after MNP is introduced. A separate survey conducted by research group Romir in August offers a different view. Of those questioned, 54 percent said they would consider switching providers once MNP comes into effect. MegaFon customers are least satisfied with their call plans, with 67 percent prepared to jump ship, a Romir survey reported. Of those looking for a better deal, 94 percent gave Tele2 as their operator of choice, the survey said. Faced with MNP, competitive pricing and customized call plans, which allow those within a network to call free of charge, could be instruments to maintain customer loyalty, a VimpelCom spokesman told Vedomosti. Such plans offer groups of users that share the same provider an easy and cheap way to stay in touch, which in turn creates loyalty because making everyone in a network switch to another operator is difficult, said Sergei Potresov of Mobile Research Group. The Communications and Press Ministry required mobile operators to offer MNP service from December 2013, but several providers have requested additional time to facilitate its implementation. Regulated mobile communications services provided by companies classified as natural monopolies will be affected by the government's proposed tariff freeze in 2014, Communications and Press Minister Nikolai Nikiforov said in Sochi on Friday. The freeze will affect fixed-line services and a range of delivery services provided by Russian Post, the minister said, Interfax reported. While beneficial, in terms of the market as a whole, regulated services are a small segment, and the impact of the freeze on revenues will not be dramatic, Nikiforov said.